A fantastic team, but also a flawed one. Although Holland finally beat West Germany in the Euro 88 semi-final to banish many of Dutch football’s burdens, more remained. They subsequently lost out to the same German side in the second round of 1990 World Cup – a match what was infamous for the, ahem, spat between Frank Rijkaard and Rudi Voller. But such caveats also reflected the nature of the Euro 88 conquest. Although moments like Marco Van Basten’s devastating hat-trick against England lent it a unique sheen, they also covered over the cracks. The Dutch had been somewhat fortunate to win that game after Glenn Hoddle and Gary Lineker had each hit the frame of the goal and they had definitely been second-best to the USSR in the opening game. A semi-final place then quite literally came down to the rub of the green against Ireland as Wim Kieft’s header viciously span in past Packie Bonner. The so-called ‘revenge’ match against the West Germans gave them a new focus as well as a new confidence for the final. And, by the end of that, Van Basten’s unforgettable volley made the iconic rather than exceptional. A team that essentially became defined by their greatest trauma. Just as Ronaldo and Brazil looked set to take their rightful place among the country’s great World Cup winners, the striker had a seizure and the squad’s challenge utterly collapsed. But then it’s worth remembering that their greatest failure was also a direct result of their many strengths. Looking back now after France’s crowning glory, it’s difficult to appreciate just how superior Brazil seemed to everyone else on the planet. A year before the World Cup, for example, they had utterly pummelled Peru 7-0 in the Copa America semi-final. Indeed, victory over France would have been their third tournament victory in the space of a year. But that was probably part of the problem. Over two calendar years, Brazil played 58 games and won 43. Because of the glamour, everyone wanted a piece and the pressure only accumulated. At the Stade de France, something had to give. The core of the side still kept together to claim another Copa America the following summer. And it’s often forgotten that Ronaldo scored five goals in it. But, thereafter, the hangover hit and the team entered a prolonged decline that only Felipe Scolari – and a revitalised Ronaldo – could fix. But, given the facts of their record in the year either side of the World Cup, all we can do is present the opposing arguments. before the opening game, Hungary’s elderly manager Lajos Baroti told Brian Glanville that “everything, even the air, is in favour of Argentina”. Off the record, Baroti even feared the referee might give the hosts a couple of penalties. “The success of Argentina is financially so important to the tournament.” To somewhat vindicate Baroti after his team had been beaten 2-1 in the opening game, France then fell to Argentina because of two very dubious decisions – one for a penalty given, another for a penalty refused. Peru actually started that game strongly, hitting the post, but ultimately had nothing to play for. Argentina were a team that may well have been pushed to victory – by junta hook or crook – or one that peaked at a remarkably opportune time. Surprised to see them so high? So were most of Italy after the Calciopoli scandal. For all the doubts though, their back-line was up there with any at a World Cup. With Fabio Cannavaro in particular putting in six career-best performances, Italy secured the competition’s second best ever defensive record. But that durability was a direct result of a full year unbeaten. By the time the competition rolled around, Italy’s beleaguered players had a focused sense of mission. It culminated in the last-minute heroics against Germany, when Fabio Grosso provided a moment to trump Marco Tardelli. They may not have been the World Cup’s most exceptional winners, but they were exceptionally hard to beat. 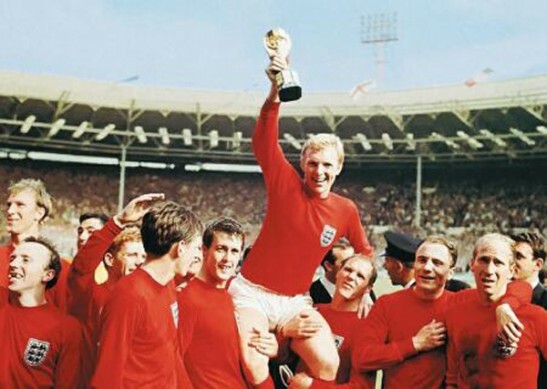 Given the 45 years of hurt since, 1966 has arguably become as much a burden as a benchmark for England. But there’s a clear reason for the latter. That’s because the team enjoyed a five-year stretch – and not just a final – that most countries outside of Brazil and Germany would crave. You can argue against home advantage, Alf Ramsey’s staid style and a curious, Pele-deprived tournament. But not a mere six defeats in five years. In the middle of a decade in which top-level football evolved from ultra-attacking to ultra-cautious (note the average goals in international tournaments and domestic competitions at either end), Ramsey’s ‘wingless wonders’ formation struck just the right balance between dynamism and durability.